The Agency is located on the main road in Moonah and is well established with a sound and experienced staff across all areas of the business. We are proud of the fact that our business has been built on referrals and repeat business. 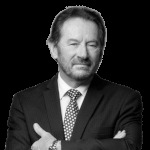 The Principal Chris McGregor has been in the Real Estate Profession since 1986. He is a past President of the Real Estate of Tasmania and a Life Member. Chris also served on the REIA Board and Deputy President and is currently the Australian President of FIABCI. The International Real Estate Federation with 64 member countries. We've designed our services in not only mentioning how we can help, but also as an educational tool to help assist you maximize the price of your home should you choose to do it privately. We make it a habit of working with motivated and well educated owners because once the process starts, you become part of our team working towards getting you the best result. The best question to ask yourself is if you're not reaching 100% of the buyers currently in the marketplace, how can you be sure you're reaching 100% of your properties price potential? Our campaigns are designed to be cost effective while ensuring that nothing is left to chance and it will attract a buyer that will pay the maximum dollar in today's marketplace.